Hello again, everyone! Today’s post is all about substituting wheat and gluten containing flours, for ingredients that contain neither wheat nor gluten. Before we begin, I would like to take a moment to clarify a few things, just to make sure we are all on the same page. Many people think that wheat and gluten are the same thing, and often these terms are used interchangeably, but this is not necessarily the case. Gluten is the name for a family of proteins found in wheat, barley, and rye. While all wheat grains contain gluten, not all gluten comes from wheat. This distinction is especially important to understand if you specifically need to be gluten free, as some products may be wheat free, but are not gluten free. There is also a distinction to be made between a gluten allergy (such as with Celiac Disease) and a wheat allergy, in terms of causes, physiological manifestation, symptoms, and general prognosis/treatment. For further clarification on this particular subject, I recommend checking out FARE’s “Know the Difference” blog series (FARE is an organization devoted to “Food Allergy Research and Education”). In this series, FARE provides a brief, yet thorough explanation of the difference between Celiac Disease and wheat allergies. For all intents and purposes, all recipes on this blog will be gluten and wheat free. The following information is intended to guide individuals in the avoidance of both. For millenia, people have prized gluten containing grains for their versatility in culinary uses. This is due in large part to the highly elastic nature of gluten proteins that lends a desirable crumb and texture to what ever it is baked into. When baking gluten free, we are generally trying to replicate that elasticity as much as we possibly can. There are many, many options when it comes to gluten free flours, each with distinct tastes and consistencies. While many of these flours may be used individually, I recommend using a combination of gluten free flours, especially when baking, in order to attain a more well balanced flavor and texture. I also recommend pairing your flours with starches. This will improve the texture and overall elasticity of your baked goods. If you intend to swap a gluten free flour for wheat flour in a particular recipe, it is important to know that the chemistry behind gluten free baking is drastically different than gluten based baking. The substitution process is usually not as simple as just exchanging gluten free flour for gluten containing flours at a 1:1 ratio. Before experimenting with your favorite recipes, you should familiarize yourself with a variety of gluten free flours and starches, and get to know the ins and outs of each potential constituent. Sorghum Flour: When I first started baking GF, I started out using rice flour, and before long, I was ONLY using rice flour. It wasn’t that I had anything against other flours, rice was just what I knew best, and it was easiest to find in my area. When I finally decided to branch out and try other flour options, the first I tried was Sorghum, and boy am I glad that I did! Sorghum is easily one of my favorite GF flour options. It is very high in fiber, and is also higher in protein and iron than most flour options. If the nutritional content alone isn’t enough to sell you on sorghum, it also has a phenomenal texture. The texture of plain sorghum flour is soft, and non-gritty, similar to that of wheat based all-purpose flour. This is especially true if you buy a “superfine” variety. Out of all of the GF flours I have used, sorghum has the best texture when baked, and when used in cooking. The only potential downside of sorghum, is that it has a stronger flavor than a lot of other flour options (I would describe the flavor as rich and nutty). Personally, I don’t mind this, but some people find the flavor to be overbearing in large quantities. For this reason, I recommend pairing sorghum with rice flour. I find it to be the perfect combination, as sorghum improves the sometimes gritty texture of the rice flour, and the rice softens the stronger taste of the sorghum flour. Nut based flours (such as almond, chestnut, or hazlenut flours)-Our family does not personally use these, but I will include them anyways, as they may be an option for some of you. Almond products, such as almond flour and milk, are increasing in both popularity and availability. Many people enjoy them not only for their taste, but also their nutritional content. Almond flour is high in fiber and protein, and has the added bonus of also being low-carb. This makes it an excellent option for people that are diabetic, as well as those that adhere to the Paleo and Keto diets. If you desire a coarser, fuller bodied texture, you can replace almond flour with almond meal. Oat Flour: Oat flour MAY be an option for some of you. I say “may”, as there is a lot of contention within the gluten-free community about whether or not oats can truly be gluten free. It is not uncommon for oats to be grown in the same fields as wheat, transported with wheat, and/or processed with wheat. For this reason, the chance of cross contamination during the growing or manufacturing processes can be high. If you are concerned about the possibility for cross contamination, certified gluten free oats may be an option for you. Still, many people that need to be gluten free choose to avoid oats all together. In our case, my family has done well with oats thus far, so we do eat oats, and some of my recipes may call for oats. That being said, if you are wheat or gluten free for medical reasons, I urge you to consult with your doctor to verify whether or not consuming oats is a safe option for your specific situation. Bean flours (i.e. Soy, chickpea, and bean flours), and Pea flours: For many, these are not a first choice for baking, as they can have a strong taste (particularly chickpea and garbanzo bean flours), but they are a great option if you cannot have corn or rice. I have baked with garbanzo flour in the past, but I do not personally care for the taste. I do, however, really like the taste of soy flour, and although I do not generally use it to bake with, almost all of my favorite gluten-free breads are soy flour based. If you want to try baking with bean flours, but are worried about your product having an undesirable aftertaste, you can try adding extra spices or seasonings to whatever you are making, or diluting the bean flour with another safe for you gluten free flour. If you have a peanut allergy, confirm with your allergist that bean flours and/or pea flours are an option for you before you consume them. Peanuts and legumes are considered cross reactive proteins, meaning that people who are allergic to one are more likely than most to be allergic to the other. This does not necessarily mean you cannot have other legumes if you are allergic to peanuts (most people with peanut allergies tolerate them just fine), but since there is a slight possibility, it is best to proceed with caution if you are unsure. Buckwheat flour: Despite a name that appears to suggest otherwise, Buckwheat does not contain wheat; it is, in fact, gluten-free. If you ever find yourself in an Asian market, or an international grocery store, you may see buckwheat used as an ingredient fairly often, especially in noodles and pastas. That being said, it isn’t a particularly common ingredient in the U.S, but does seem to be gaining in popularity. It is available in two varieties (dark and light), with the darker varieties imparting a stronger flavor into whatever they are baked or cooked in. Buckwheat contains a wealth of vitamins and minerals, making it a particularly healthy choice for baking and cooking. Like bean flours, though, it can have a strong flavor (especially with the darker varieties) so if you do use it, you may want to use it in moderation, potentially diluted with another GF flour. Millet Flour: Millet flour is similar to sorghum in that it has a rich, almost nutty taste, but Millet’s course, gritty texture is very different from sorghum’s. Millet is an increasingly popular ingredient in commercially produced gluten free products, but for the home baker, I recommend always using it with another GF flour (rice is a good one), in order to avoid your baking being too course and/or starchy. Out of the flours I mentioned above, my personal favorites (and most frequently used), are the various forms of rice flour and sorghum flour. As I mentioned earlier though, gluten free flours perform best when used in conjunction with starches. The starches I use most are corn starch , tapioca starch , arrowroot starch , and potato starch . While some people use these interchangeably, I generally use tapioca, arrowroot, and/or potato starches when combining with flours for baking, and reserve corn starch for use by itself (meaning it is not my number one choice for mixing with flours). I like corn starch best for thickening soups, sauces, pie fillings, and gravies, but you may use any of the aforementioned starches for this purpose, as well. By now, you are probably wondering the best way to go about combining your flours and starches is. With so many options how can you possibly know what to use, and when? The answer is complex, as each flour and starch has its unique properties, as I have outlined above. At the end of the day, you have two options: you can make your own flour blend, or you can purchase a pre-blended gluten free flour blend (such as this one from Bona Dea, or this one from Glutino). If you are newly gluten-free, buying a blend may be the easiest option as you navigate through the various nuances of gluten free baking, and get to know the ways in which it differs from baking with gluten. Also, while making your own blend is generally the most affordable option in the long term, the up front costs associated with purchasing a number of gluten free flours and starches all at once can be expensive. For this reason, it may (in the short term) be more affordable to first try a few flour blends to figure out what combinations you prefer. Personally, I do a combination of both options. There are times I make my own flour blends, but there are also times I just go with store bought. If you decide to try making your own, a brief stint on Pinterest, or a quick Google search will yield a plethora of recipes for gluten free flour blends. I recommend trying more than one recipe to figure out what will best correlate with your families specific tastes, budget, and nutritional needs. If you decide to purchase a pre-made GF flour blend, here are a few of my personal favorites. Bona Dea Ancient Grains Baking Mix : This sorghum and brown rice flour blend is hands down my favorite. 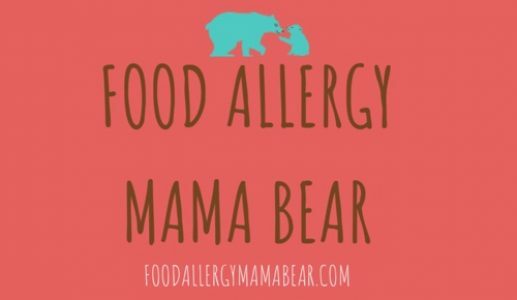 It is the best I have found in both taste and texture, and the manufacturer prides themselves on not only being a gluten free facility, but also being a dedicated allergen free facility (free of the Top 8 allergens). The consistency of this blend is the closest I have found to all-purpose wheat flour, so if you are dead set on finding a “cup for cup” substitute, this is probably going to be your best bet. The only downside is that it is a relatively small quantity for the price, so I generally reserve this for recipes where I need a smaller quantity of GF flour, such as in a pie crust or a batch of muffins. If I am baking something that requires a large amount of flour, such as a double or triple layer cake, this would not be my first choice, simply because that could end up being rather expensive. Glutino Gluten Free Pantry All Purpose Flour : This rice flour blend is generally a more affordable option, and is still quite good. It is also becoming more widely available. Gold Medal Gluten Free Rice Flour Blend Flour : I like this blend because it is both affordable, and easy to find. It is carried by a lot of grocery store chains, including Walmart and Kroger. Of course the exact availability will depend on your location, but generally speaking it is widely distributed. Well, folks, that’s all for now. As always, thank you for reading, and I hope you learned something new today! Please feel free to comment below with any thoughts or questions you may have.